Each year, harmful invasive plant pests and diseases cost the United States about $40 billion in crop losses, damage to forests and vulnerable ecosystems, and expensive eradication and control efforts. It only takes one person who moves one piece of infested firewood, one infected plant, or one piece of infested fruit to spread these invasive pests to a new area. 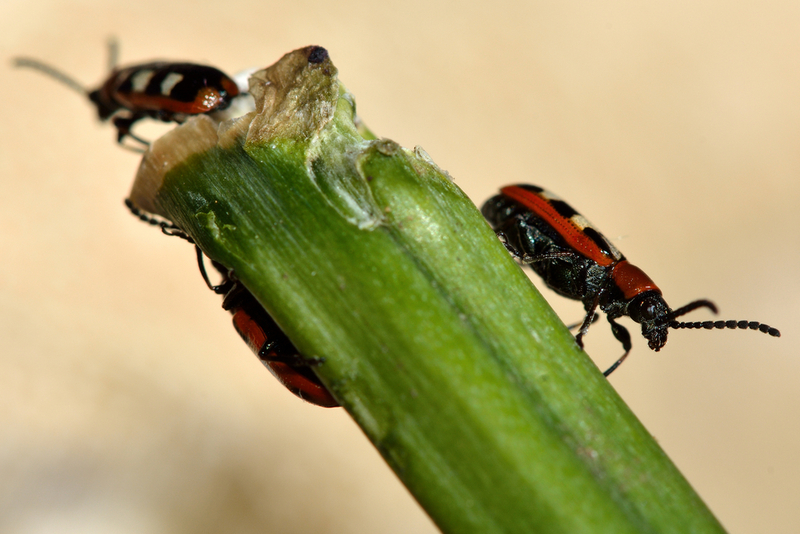 That’s why USDA’s Animal and Plant Health Inspection Service (APHIS) has designated April as Invasive Plant Pest and Disease Awareness Month. Spring is the perfect time to remind everyone of the simple steps they can take to prevent the spread of harmful invasive plant pests. For example, USDA believes Huanglongbing (HLB, or citrus greening) was spread from Florida to California by one person who likely mailed an infected plant to that State. HLB was first detected in Florida in 2005 and has since spread rapidly. A concerted effort by USDA, states, and the citrus industry is underway to find new strategies in the fight against HLB. The good news is that individuals can also stop the spread of invasive pests by looking for and reporting suspicious insects or signs of damage. For example, USDA detected Asian longhorned beetle in Boston in 2010 when a single groundskeeper with a keen eye noticed and reported an unusual dime-sized hole in a tree. That one call provided early warning to jumpstart an eradication effort that quickly eliminated this destructive pest from that city. To learn more, visit www.HungryPests.com or join the conversation on Facebook or Twitter. The website includes photos and descriptions of 19 invasive pests that can be moved easily by people, an online federal quarantine tracker by state, and phone numbers for reporting signs of invasive pests. Questions? Visit www.aphis.usda.gov/planthealth/sphd to find contact information for your local USDA office. Or call USDA’s Customer Service Call Center toll-free at 1-844-820-2234 (open Mon. through Fri. from 8:30 a.m. to 5 p.m. Eastern).